Film or digital, still or moving, picture taking and movie making are always in focus here! Rochester, N.Y., has been called the "Birthplace of Amateur Photography", "Picture City", "Kodak Town" and "The World&apos;s Image Centre." Forbes calls us "One of America&apos;s Most Innovative Cities" and The Daily Beast has named us "1 of the Top 10 Smartest Cities in America." When it comes to film and photography -- we live up to our reputation as a smart, sophisticated city full of creativity and imagination. Rochester is a film and photography epicenter for anyone interested in the technology, science, and history of making pictures to a fascination with the art, drama and fun of preserving special memories. Why? One name: George Eastman. In 1900, Eastman and his Kodak cameras brought photos into our everyday lives. He invented motion picture film and brought classics to the nation&apos;s movie screens. Eastman turned Rochester, NY into the Image Capital of the world. Today, modern blockbuster movie scenes (Spiderman 2) and popular TV show segments are shot here. One of the world&apos;s most respected museums of film and photography is located here. We have six diverse and respected film festivals a year, photographic galleries, historic movie theatres -- and more movie screens per capita than anywhere else in the state, including New York City! Film or digital, still or moving -- picture taking and movie making are always in focus here, now and for the future! Rochester&apos;s photographic legacy began with a young banker named George Eastman, who was determined to find an easier way to take pictures after purchasing an unwieldy, 50-pound, wet-plate camera outfit for a trip. He started experimenting in his mother&apos;s kitchen to find an easier way to take photos. His experiments and early patents led to the small-box Kodak camera in 1888, which he manufactured in Rochester and promoted with the slogan: "You Press the Button, We Do the Rest." 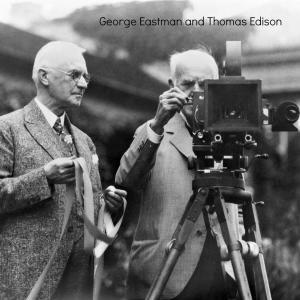 The following year Eastman adapted the film from his cameras for Thomas Edison&apos;s new movie machines, ultimately inventing motion picture film. But it was Kodak&apos;s launch of the Brownie camera in 1900 that marked the real birth of mass photography. Selling for $1, this camera was so easy to use and so affordable that it appealed to everyone: men, women and children. Today, the Kodak name is known throughout the world. George Eastman Museum is the world&apos;s oldest photography museum and third-largest film archive in the United States. 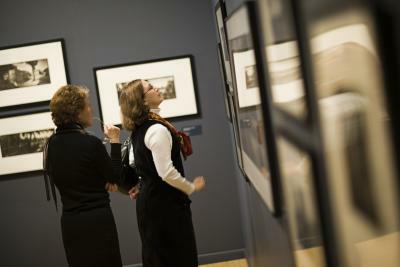 Visitors can enjoy photo and camera galleries displaying items from the museum&apos;s 4.5 million artifacts, which include the world&apos;s largest collection of camera technology - from the 1839 camera of photography inventor Daguerre to cameras used by Mathew Brady, Ansel Adams and NASA. You can look at pieces not currently on display by making an appointment in advance to see additional items as well. The museum includes the work of every major photographer throughout history, as well as the Southworth & Hawes Daguerreotype Collection, the world&apos;s largest collection of daguerreotypes. It also contains the personal collections of top filmmakers - including 8,000 titles from Martin Scorsese. Offering three post-graduate programs, George Eastman House is a world leader in photo and film preservation. Acclaimed internationally for its preservation efforts, many of today&apos;s top filmmakers entrust their collections to Eastman House. George Eastman&apos;s 35,000-square-foot Colonial Revival mansion on East Avenue is a National Historic Landmark attracting visitors from around the globe. Visitors can tour Eastman&apos;s impressive home and gardens where, in 1928, he and Thomas Edison introduced the world to motion pictures in color. If you have a love affair with art in photography, this is the perfect place to indulge that passion. Visitnearby galleries featuring photography exhibitions like Image City Photography Gallery on University Avenue, Rochester Contemporary Arts Center (RoCo) on East Avenue, and ARTISANworks on Blossom Road - a converted warehouse offering a sprawling experience of many art forms. Our public art is even photogenic - especially when it&apos;s the work of famed metal sculptor Albert Paley. You may have seen his 2013 colossal outdoor exhibition "Paley On Park Avenue" in New York City. Look for his work in the Centennial Sculpture Garden at the Memorial Art Gallery. You&apos;ll also find his sculptures at the Bausch & Lomb building in downtown Rochester, the Strong Museum of Play, and at Rochester Institute of Technology. Paley designed the railings for the City of Rochester&apos;s Main Street Bridge, too. Art films, independent films, short films, documentaries - we can&apos;t get enough of superior filmmaking here. Throughout the year, you have golden opportunities to see the best of film and filmmakers at five distinctive festivals celebrating art and vision in movies from around the nation. 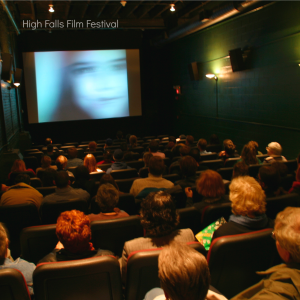 The High Falls Film Festival (HFFF) is held in November in Rochester, NY. The city where Susan B. Anthony launched her fight for women&apos;s equality, provides an ideal backdrop for one of the few film festivals, featuring the talents of female cinematic artists. The festival&apos;s mission is to promote gender parity for films created by-and for-women, and identify actions to eradicate the systemic obstacles women behind the camera face each day. The HFFF provides a slate of the finest independent films made by, or about women, and their life experiences. The festival also includes industry workshops, panels, and discussions with filmmakers that enhance the experience. Each year, the festival presents the coveted Susan B. Anthony "Failure is Impossible" award to a woman in the film industry who exemplifies courage, passion, and artistry in her work. Past recipients have included Joan Allen, Angela Bassett, Candace Bergen, and Rita Moreno. 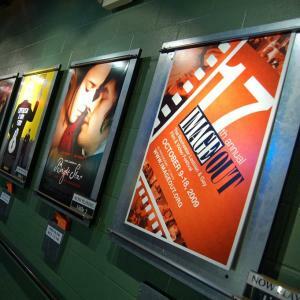 The ImageOut Film & Video Festival (October) is the largest LGBT film festival in New York State beyond the New York City area. Rochester Jewish Film Festival (Summer) presents the best contemporary Jewish themed films from around the world. The festival has been an annual summertime event since 2001. Rochester International Film Festival is the world&apos;s oldest, continuously held Short Film Festival. The world&apos;s longest running, amateur film festival started as Movies on a Shoestring in 1959 and was renamed the Rochester International Film Festival in 1996 to reflect its growth and the quality of films submitted from around the world. Greentopia | FILM (April) is a collection of films presented in Rochester, NY that inspire, transform, and ultimately empower audiences to create sustainable changes. The Deaf Rochester Film Festival has been held biannually since 2005 at the National Technical Institute for the Deaf (NTID) at the Rochester Institute of Technology. It&apos;s the ultimate film buff&apos;s cathedral of movie history, art and culture! The Dryden Theatre at Eastman Museum possesses more than 23,000 reels dating back to the beginning of moving pictures in 1893 -- the fourth largest collection of its kind in the U.S. 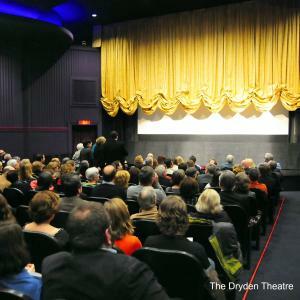 The 500-seat Dryden Theatre offers a diverse program of silent and classic films, as well as cult favorites, regional premieres, and movies that are hard or impossible to see elsewhere. Enjoy screenings and discussions of important films, as well as presentations of some of the films from Rochester&apos;s festivals. 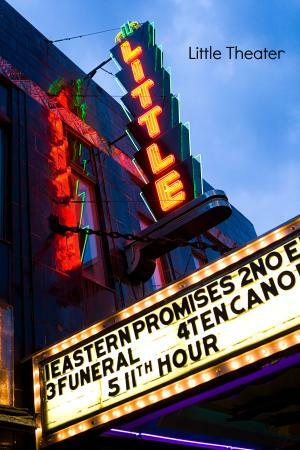 The Little Theatre is a favorite venue for film festivals, too. This Art Deco style theatre opened in 1929 with a showing of the silent film, Cyrano de Bergerac, accompanied by a three-piece orchestra. Now a not-for-profit film organization specializing in American independent and foreign films, the Little has five screens, concession stands selling pastries and freshly brewed coffee along with popcorn, plus a café, art gallery and live music, in the heart of Rochester&apos;s popular East End neighborhood. The Cinema has been a neighborhood movie house since 1914. You can catch a low-cost, double feature every night - plus matinees on weekends. We make movies and TV, too! Rochester is home to a savvy film-production community, the largest crew base in the state outside New York City, and state-of-the-art facilities. The Rochester/Finger Lakes Film & Video Office helps major and independent movie-makers with location scouting, extensive production resources and other services for movies -- like a high-speed car chase filmed here on our Main Street for "The Amazing Spider-Man 2." Scenes from movies like "The Thomas Crowne Affair," "The Natural," and "Planes, Trains and Automobiles" were also filmed here - among many other films. Surprised? PBS and TV networks shoot here, too! The Rochester area has appeared in shows like "A&E Biography: George Eastman", "General Hospital", "Susan B. Anthony/ Elizabeth Cady Stanton: Not For themselves Alone, " a documentary by Ken Burns, and "The American Experience: George Eastman," just to name a few. National and international journalists covered The 2013 PGA tournament at Oak Hill, featuring special interest stories about everything from our wine region to Walter Hagen&apos;s rise from caddy to Golf Legend. Rochester has a large, experienced film-production community and state-of-the-art facilities. The Studios at Linden Oaks and Post Central are known for doing superior work at lower costs than can be found in Los Angeles, New York City or Toronto, Canada. Post Central offers multiple edit suites, digital graphics, and 2 full production trucks for shooting video and film - all with the latest in technological advances in both hardware and software. There&apos;s also a 3,000 sq. ft. shooting stage. And aspiring writers and directors can utilize Rochester Movie Makers, dedicated to help create, develop and promote filmmaking and filmmakers in Rochester, NY. Rochester&apos;s imaging expertise extends beyond taking pictures and making movies, however. It&apos;s not only the birthplace of Eastman Kodak Company but of Xerox and Bausch and Lomb as well. With three world leaders in optics and imaging concentrated in one city, additional businesses involved with photography, imaging and optics not only thrive and multiply in Rochester, they win a lot of prestigious awards along the way. Internationally acclaimed programs at Rochester Institute of Technology (RIT) also prepare students for careers ranging from fine arts to ophthalmic photography, while the Institute of Optics at the University of Rochester provides B.S., M.S. and Ph.D. degrees in optics. Visual Studies Workshop, affiliated with The College at Brockport State University of New York, is an internationally recognized center for photography, visual books, video and independent film that serves both visual artists and the general public with educational programs, exhibitions and publishing. We have everything here to make your visit "picture perfect." So don&apos;t forget to bring a camera to capture our postcard-perfect scenery and your scrapbook-worthy memories! From a desire to learn about the technology, science or history of making pictures to a fascination with the art, drama -- or simply the fun of creating new images and preserving special memories -- people are drawn to Rochester. One trip just won&apos;t do it! You&apos;ll want to return again and again.